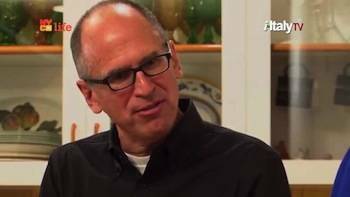 James Oseland during the interview with Francine Segan for "Americans in love with Italy"
Tell me about your connection with Italy. My connection with Italy is old. I grew up in San Francisco. Wherever I was, North Beach was always just around the corner. San Francisco’s version of Italian-American isn’t really Italian-American—it’s more pure, more Italian-Italian, more Southern Italian. For me, my primal memories of food revolve around Italian cooking. Did you start cooking or did your family cook when you were young? 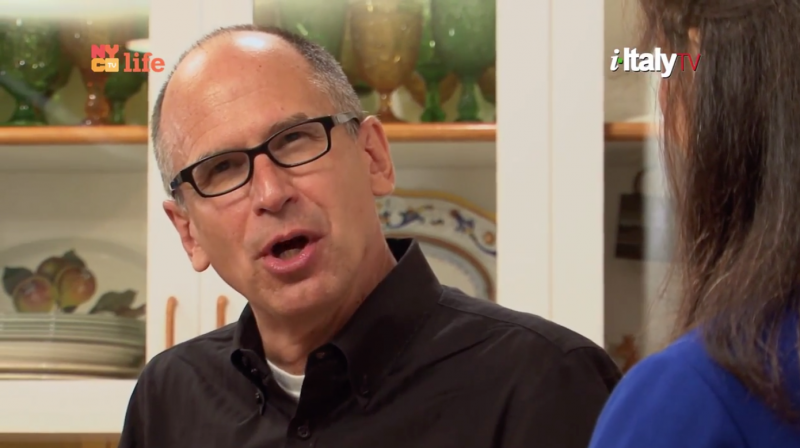 My dad, not my mom, was the chef in the house. My mom was very good at opening bags of frozen food and heating them up. My dad, however, was an amazing cook. In fact, he used to eat at all the great Italian restaurants in the 1960s. He was a traveling salesman. He would come home and he would duplicate, to the letter, these wonderful dishes that he’d eaten. Back then America’s idea of Italian food was usually veal scalloppine and scampi. Wow, what delicious food! My dad made a really fine classic ragù. So, I fell in love with the fundamentals of Italian cooking at a very early age. On your travels to Italy, which regions affected your love for Italian food? The entire country, really. But the places that moved me most were Bologna and all of that fabulous, rich, earthy food that tastes like pure umami. Also, food from the deep South, in particular Salerno and around Naples. It’s like you’re in this completely different food universe when you think about those two parts of Italy. Both had a great impact on me. How did you divvy up the Italian articles during your nine years as editor-in-chief of Saveur? delicious taste of an ingredient. You can pull all sorts of tricks in the kitchen, but if you don’t have really great, delicious, fantastic ingredients, you’re not getting the real experience. Are there any articles you have assigned over the years that stand out as best capturing Italy? 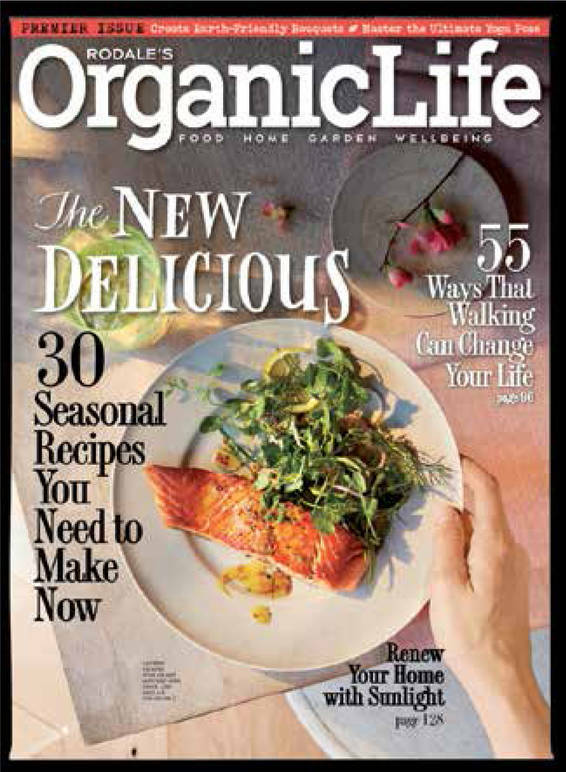 How much attention will you pay Italy in your new magazine Rodale’s Organic Life? culture than to taste what it eats. It’s also a very pleasurable way to do anthropology! * Noted public speaker and food historian Francine Segan co-produces with i-Italy the TV series “Americans in Love With Italy.